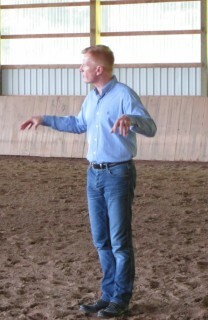 I had the opportunity to ride in a clinic with German dressage trainer Christian Garweg today. Christian boasts a very impressive resume of both students and teachers, and in January this year I went to watch him teaching a nearby clinic. I found him extremely perceptive in his ability to quickly zero in on what a combination’s “core issue” was, as well as innovative and effective in his recommended exercises to make improvements. 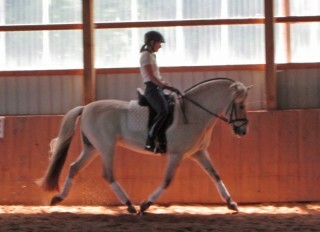 He struck me as one of the most “outside the box” dressage trainer I had ever seen. Our clinic today was held in Inglewood, Ontario at Martin Farms, and Ooruk and I arrived a day early so we could get in some extra training with my coach Summer McEwan, who clinics regularly with Christian. 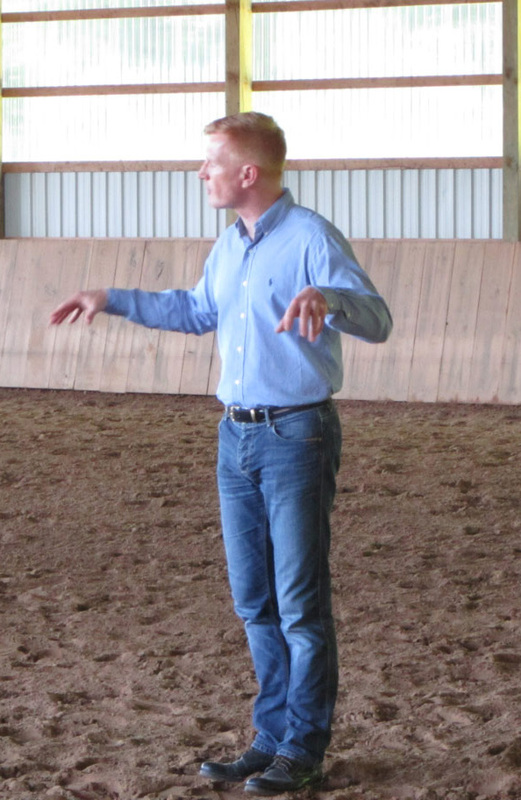 I think it’s a mark of a real horseman to be able to look past the “coat of a different colour” and see the qualities of the individual animal. 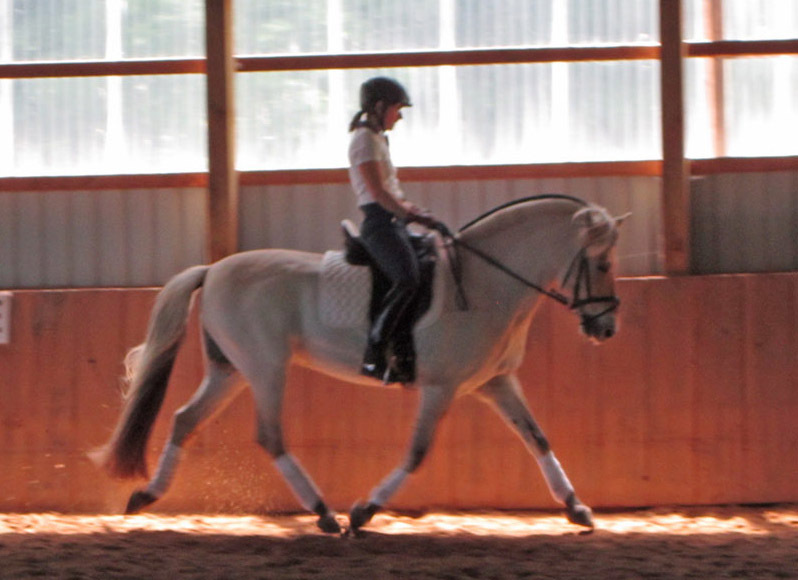 I’ve felt for some time that the Fjord horses at Bluebird Lane are different from your average Fjord, they are truly great small dressage horses that I wish more riders knew about. In our lesson, Christian did not waste any time in identifying our weakest point, and it did not come as a surprise to me, having been the focus of our training for the past six months. However I found his unique style of teaching and the exercises he used pushed me out of my comfort zone enough to really make a difference. I could see that in order to address our issue I needed to be much quicker in giving an aid and waaaaaay quicker in releasing it. All basic stuff that one thinks one already knows, but what a difference. 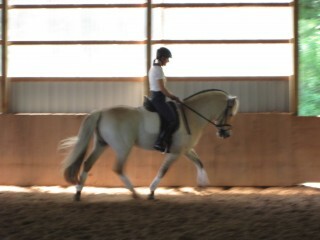 Going into the lesson I was hoping we could work on improving our medium trot, and with the work Christian had us doing, the horse picked himself up and did some very nice steps indeed!